... and much more. Get started giving back with Nolo's Nonprofit Bundle! A nonprofit corporation is a corporation formed to carry out a charitable, educational, religious, literary, or scientific purpose. Because the law recognizes that these organizations benefit the public, they get significant tax breaks. A nonprofit corporation doesn't pay federal or state income taxes on profits it makes from activities in which it engages to carry out its objectives. What is a 501(c)(3) corporation? The most common federal tax exemption for nonprofits comes from Section 501(c)(3) of the Internal Revenue Code. That’s why nonprofits are sometimes called 501(c)(3) corporations. To apply for tax-exempt status, you must file IRS Form 1023, Application for Recognition of Exemption Under Section 501(c)(3) of the Internal Revenue Code. How does my organization become a tax-exempt nonprofit corporation? 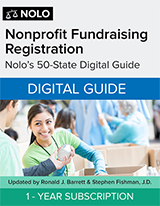 Choose a name for your nonprofit that meets the requirements of state law. File paperwork, usually called articles of incorporation, and pay a filing fee (typically under $125). Get any licenses and permits that are required for your corporation. Nonprofit corporations don’t pay corporate income tax on profits from activities that are related to their purpose. Nonprofits can raise funds by receiving public and private grant money and donations from individuals and companies. Donations are encouraged by the tax laws, which let donors to deduct their contributions on their own tax returns. Corporate status protects its directors, officers, and members from personal liability for the corporation's debts and liabilities. When you start a nonprofit, one of your first tasks is to create a board of directors to oversee the organization. It’s the board’s duty to keep the organization true to its public service mission, so that it continues to deserve its tax-favored status. Others, such as an executive director, paid staff, and volunteers, will handle the organization’s everyday operations—though in smaller organizations, board members may do much of the actual work, too. Board members are also involved in fundraising. You should be able to count on your board members to spread the word about your good work, use their connections to gain access to potential donors, actively participate in fundraising campaigns, and -- when financially feasible -- make their own donations. In other words, your nonprofit can make a profit. Whether or not a the income is taxable depends on whether the activities are related to the nonprofit’s purpose. Profits from related activities. As long as a nonprofit's activities are associated with its purpose, any profit made from them isn't taxable. For example, a nonprofit “Friends of the Library” group could make money by selling tickets to author talks and selling donated books. Because these activities are educational and literary in nature, they do not jeopardize the group's tax-exempt status, and the proceeds from them are not taxable. The organization may use this income for operating expenses or for the benefit of the library. Unrelated business activities. If you make money in ways that aren't related to your nonprofit purposes, you’ll have to pay corporate income tax (state and federal) on it. How do we get people to donate? Start by reaching out to all the individuals who believe in your organization's work. Their donations are a sign of community relevance, and having a large base of supporters helps you if you ever lose a big source of support—a private grant, for example. Try to develop relationships and maintain connections with your donors. Most organizations use a combination of direct mail, newsletters, social networking, and special events. Strengthening donors’ engagement with your nonprofit can lead to sustained or higher gifts. You can solicit many types of individual donations: cash, pledges, stock in a company, property (real estate and personal), and more. Assuming your organization is a tax-exempt 501(c)(3) corporation, donors can take a tax deduction when they donate (if they itemize).